A destination for those who demand denim and casual wear of a hitherto unseen quality. 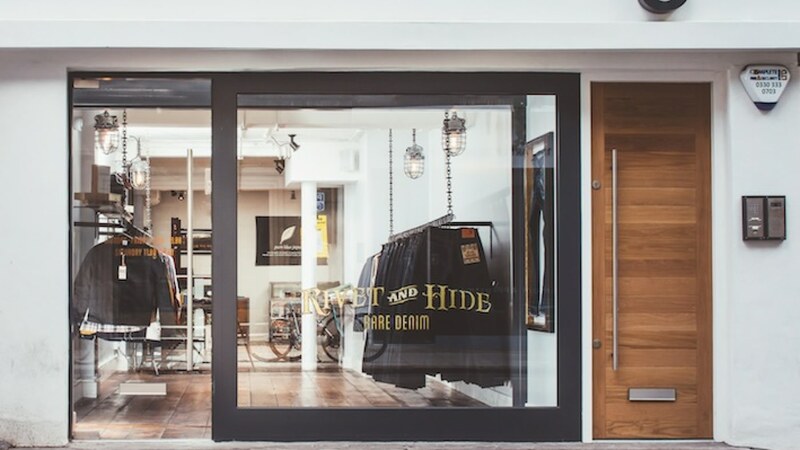 Rivet and Hide showcases a curated collection of the finest Japanese Selvedge brands, each with a distinctive and individual personality. All the apparel is made from the best raw selvedge denim, finely crafted by hand in small batches by highly skilled craftsmen. Salvaged 1950s Polish factory lights from skinflint sit above racks of distinctive denim brands, enhancing the workshop environment that the store evokes, with their in house chain stich hemming service.